No other artist could bewitch, bother, and bewilder us quite like Florence and The Machine. Hence, she one of the most sought after touring acts that fans are always on the lookout for her next touring schedule. The wait is over! 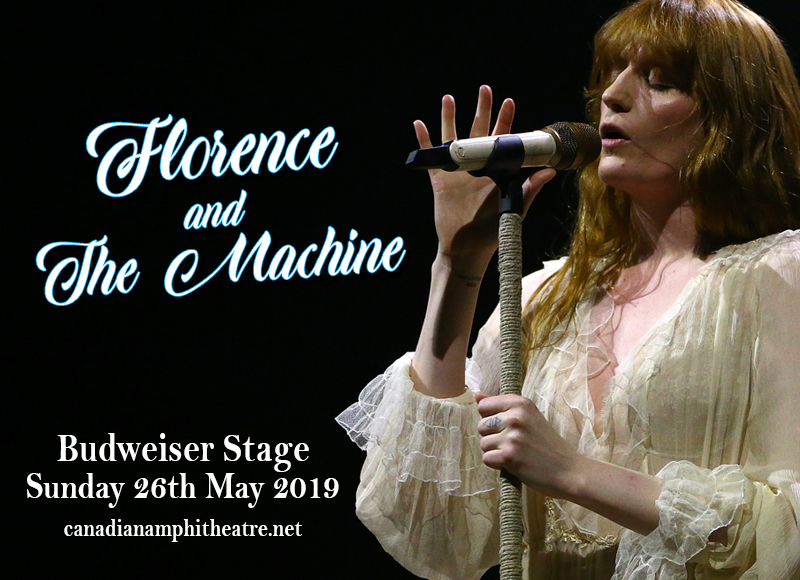 Florence and The Machine sent the word out about their 17-date outing, and yes, that includes her up and coming show at the Budweiser Stage on Sunday 26th May 2019. It wouldn't be wise to just pencil this date in on your calendar. Numerous fans are now definitely clicking the 'buy tickets' button and making sure they get the best seats in the house. Don't just save the date, save a seat. With a Florence and The Machine ticket is sure a bang for your buck! Book your tickets now! Florence and the Machine have definitely positioned themselves as one of the most unique and spellbinding rock luminaries of this day and age. Florence and The Machine is a band led by Welsh frontwoman, Isabella Summers plus an equally talented line-up of artists and musicians that collaborate with her and render her amalgam of rock, folk, soul, baroque, and… magic, for lack of a better term for genre-bending music style. Rolling Stone Magazine once described the band as "classic soul and midnight-on-the-moors English art rock". Florence and the Machine debuted in 2009 with the release of the album "Lungs". The album has been certified five times platinum by the British Phonographic Industry. It had a gradual rise but prolonged stay at the charts. It started out taking the number two slot in the UK Album Chart, retaining the position for five consecutive weeks. After lingering in varying positions on the charts, it finally reached the number one position on the 17th January 2010, staying for a total 28 consecutive weeks. A few months after, the album still stayed at within the charts, spending a jaw-dropping grand total 65 consecutive weeks in the album chart. Their sophomore album "Ceremonials” featured the single “What The Water Gave Me,” with its music video raking in a staggering 1.5 million views on YouTube in just two days. Florence and The Machine have an unbroken string of hit singles which include “Rabbit Heart [Raise It Up],” “Kiss With A Fist” and “Dog Days Are Over,” “You’ve Got The Love,” “You’ve Got The Dirtee Love,” “Shake It Out”, and a whole lot more.